One of the most beautiful things we can do when we hear a friend’s labour has begun is to hold that woman in our mind. Each time a woman from the Pregnancy Yoga and Birth Preparation class lets me know her labour is approaching or has begun I let her know I’ll be thinking of her. I do a small meditation and picture her breathing, turning within, trusting herself and her labour flowing smoothly. If I know her hopes and plans for her labour I visualise her labouring as she hoped; breathing deeply, calm, gentle, powerful, flowing with the intensity and surrender of her surges. I visualise her as a calm, empowered, happy and confident, and see her baby happy, peaceful, active and content. Just as we do in the Pregnancy Class visualisations, I hold in my mind the image of her baby being born smoothly and the euphoria of welcoming baby into her arms. This is a practice we can all do…and we can let the woman know we will be thinking of her, sending her love, positivity and holding her image in our mind. It makes a difference to her to know others are thinking of her, have faith in her, believe in her. 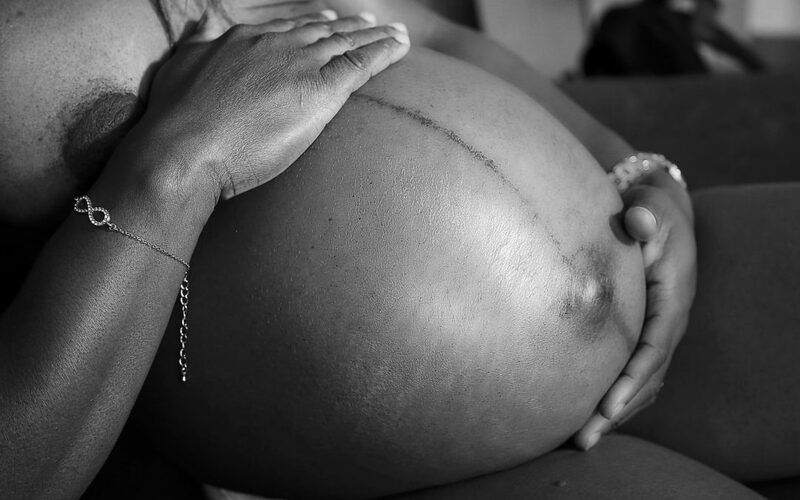 It brings such a sense of support to a woman in the throes of intense contractions to know those women around her are holding her in their mind, picturing her smooth birthing, holding her in confidence and trust. These are our inner resources of Femininity….our shared trust and vision of the birthing journey…. as fierce, frightening and intense as it can feel at moments, we hold her in our mind, knowing she is stronger than she ever knew….knowing she can do it…however her beautiful child is born… knowing she will come to discover elements of herself she hasn’t before encountered… her strength…. her power…. her tenacity… her ability to trust, surrender, persevere… to be stronger than she ever knew, and to love more powerfully and more fiercely than every before. Labour initiates us into these milestones of motherhood and femininity and many more. Let us move away from the negativity surrounding labour and birth, and instead hold one another as women with visions of love, trust and empowerment. We are all so much more connected that we can ever know. It makes a difference. We can remind her that we love her, that she can do it, that she is doing it….. that her baby will be here soon, then all of this intensity will be but a memory…. that it is worth it….that she has this….we know she can do it. Let us connect with one another authentically and holistically, giving gifts of love, spiritual sustenance, belief, positivity and trust alongside the cute babygrows and blankets. Let us gift her with our love, our connection and our vision of her….let her know we see her as strong, beautiful, capable and powerful. Let her hold these images of herself in her mind as she breathes deeper than the surging intensity, bringing her back to herself, reminding her of her truth, her power, and her great capacity to love. In birth, as with mothering, we move into place of great vulnerability, as we find ourselves here, adrift and unsure, it can be so immensely comforting and reassuring to know that others hold us in a vision of strength, love and empowerment, holding this image of ourselves and our Collective Femininity for us to make a grab for and reel ourselves in as we begin to uncover these qualities in ourselves once again. Let our connection as women grow and become infused with spirituality, with a recognition of our shared power, our wisdom, our friendship and connection and our intuition.